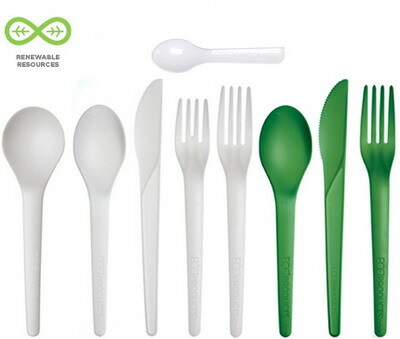 Renewable & Compostable Plantware® Cutlery is the only choice for compostable cutlery with a high-heat tolerance. New formulation offers strength and heat tolerance up to 200° F without relying on unsustainable virgin plastic resources. 100% renewable, BPI certified compostable and ASTM compliant. Our Plantware cutlery is compostable in commercial compost facilities, but unfortunately not in your home compost. The compostable PLA plastic green fork is perfect for events. At your next event, consider using our eco friendly knife. Serve up some green with these ecofriendly biodegradable plastic spoons. Zerowaste compatible perfect for festivals and events. Color safe and eco friendly. Playful and colorful, compostable cutlery. 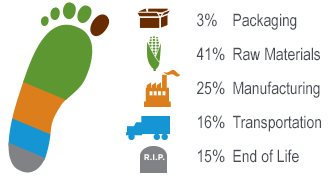 Heat tolerant spoons that can be composted = a more sustainable choice. Features a wider spoon for all your soup needs. Fully compostable cutlery in one handy kit. Folded Napkin: 2.25 in. x 6.5 in. Unfolded: 13 in.x 13 in. Our 3" tasting spoon is the perfect compliment for all your food sampling events.